While more and more people are becoming turned on to Windows Phone 7, one of the main complaints about the new Microsoft mobile phone platform is the inability to drastically customize the Start screen. While the square and oblong tiles are functional and can have their color changed, the customization options are limited. 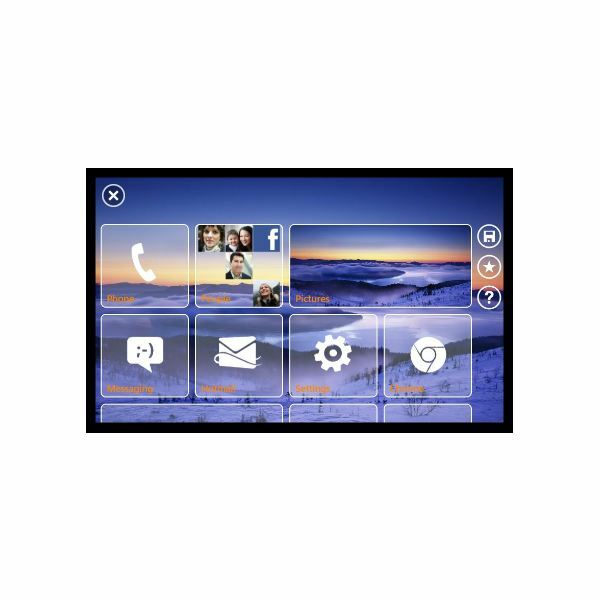 There doesn’t seem to be any sign of Microsoft changing this, but fortunately one enterprising developer has been looking into the possibilities of creating an app that allows you to change the Start screen quite drastically. Rather than solid blocks of colored tiles, the Phone 8 app allows you to see how your Windows Phone might look if custom backgrounds, transparent tiles and curved edges were available. This is a very useful tool, one that could potentially turn out to be quite powerful should Microsoft open access to the UI design to developers in the Mango update. Let’s take a look at how you can tailor the Windows Phone 7 user interface with your own preferred images and styles! 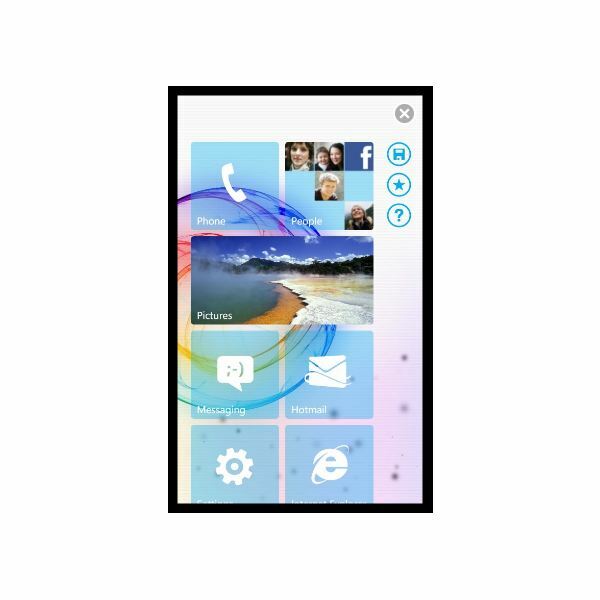 Before proceeding, let’s be absolutely clear: Phone 8 does not customize your Windows Phone Start screen tiles. What this app – available exclusively from the Windows Phone Marketplace for a free trial or a small 99c fee – does, is to give you an idea of just what is possible with the existing restrictions to the layout. Microsoft has imposed several limits on how third party apps can be programmed by developers, some of which affect the Start screen. For instance, apps aren’t able to launch the Marketplace or Games Hubs, so you can immediately see how Phone 8 cannot possibly work as a genuine UI (although you can launch some apps such as email). 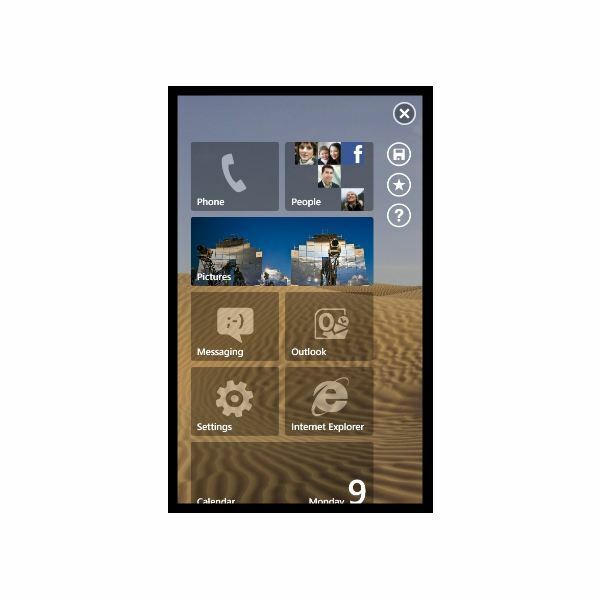 Where Phone 8 succeeds, however, is in demonstrating to Microsoft just what is possible with the user interface by allowing users to add their own images to the background and tiles, to tweak colors, borders and add some custom textures, thereby creating an impressive (or horrific, depending on your taste!) alternative to the default Windows Phone 7 Start screen that retains the tiles and sense of purpose. You can save the layouts that you create and view them, and they can even be viewed in landscape mode to give you an idea of how they might look as a fully integrated option, but remember that these cannot be applied to the actual phone. Another benefit of this app is that it is very easy to use. After launching from the apps list, you will be presented with the default choice of Windows Phone 7 layout. A quick scroll through the tiles will reveal the Settings tile, which you should tap to start customizing. Here you can begin editing your Background, Colors and Tiles. The Background sections gives you the choices of using either a solid color or an image, so you can either breakout beyond the strong, bold colors that Microsoft permits in Windows Phone 7 for something subtler, or choose an image from your phone’s library. Next, you can adjust the Colors, which covers border color, font color, accent foreground, accent background (for the background of live tiles) and the foreground color of the tiles. These options cover everything, and the app allows you to provide solid colors, images or textures to help you find the look you want. Finally, you can edit the Tiles, and this is where the app really starts to show you what it can do. Using this setting you can adjust the radius of the corners of the tiles, thereby delivering an opportunity to move away from the square corners of the default user interface. Additionally, you can adjust the height and add a border, instantly changing the look of the tiles from the slightly business-like flat squares into something quite different! When you’re happy with your choices, tap the Back button on your phone to see the results. Remember that you can flip your phone into landscape mode to check how the tiles will sit, and by tapping the Save button in the top-right corner you can save a screenshot of the layout. If you like the idea of the Phone 8 app but can’t quite get to grips with the possibilities, why not take a look at some of the pre-packaged suggestions? These can be accessed via the Load screen, and you can see some of these examples accompanying this guide.